In California, the crime of “Brandishing” is charged under Penal Code 417. The law requires any conviction for brandishing, whether carried out with a weapon or firearm, requires you to serve a minimum term of 30 days in the county jail. If you committed this crime against a police officer, then you can expect to face more severe penalties. Note that brandishing can be carried out with a firearm, knife, or other deadly instrument capable of committing serious bodily harm to another. The following article will address 6 important things you should know about brandishing charges & defenses. 1. What Must the Prosecutor Prove for this Crime? 2. What are the Legal Defenses to Brandishing? • The instrument you’re accused of brandishing is not considered a “deadly weapon”. • You did not draw or exhibit the weapon or firearm in the “immediate presence” of another person. Instead, the other person could have been at a substantial distance. • You did not use the weapon in an angry, threatening, or rude manner. 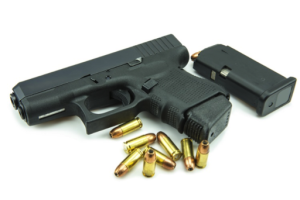 • You only drew or exhibited the weapon or firearm for the purposes of defending yourself or someone else from injury – e.g., you were acting in self-defense. • You’re being falsely accused by another for known or unknown reasons. For example, your accuser could be fabricating the incident for revenge purposes. • You’re being wrongly accused based on mistaken identification. For instance, your accuser could be misidentifying you based on cross-racial identification, poor lighting, or suffer from eyesight impairment. 3. What is the Punishment for Brandishing? As noted above, punishment for this offense will depend largely on whether you used a deadly weapon or firearm, whether you have a prior criminal record, and whether the crime is against a police officer. • Under PC 417(a)(1), brandishing a weapon, other than a firearm, is a misdemeanor carrying a minimum sentence of 30 days in the county jail up to 1 year. • Under PC 417(a)(2), brandishing with a firearm (pistol or revolver), is a misdemeanor carrying a minimum sentence of 3 months in the county jail up to 1 year with a fine not exceeding $1,000. • Under PC 417(b), brandishing a loaded firearm in a public place, is a misdemeanor carrying up to 1 year in the county jail but not less than 3 months. • Under PC 417(c), brandishing a firearm against a police officer is a wobbler offense which means the government can charge you with a felony or misdemeanor. A felony conviction carries 16 months, 2, or 3 years in state prison. A misdemeanor conviction carries up to 1 year in the county jail, but not less than 9 months. 4. What are Examples of Brandishing? • Lifting your shirt exposing a firearm in your waistband. • During a dispute with your spouse, you grabbed a knife and held it while looking at them angry. • You partially shattered the bottom on a beer bottle and held it towards someone as a stabbing instrument. • After a dispute with your neighbor, you showed them your shotgun for the purposes of scaring them with it. An expungement for brandishing is brought under PC 1203.4 which requires a specific petition to be served on the prosecuting agency. Before filing your petition, you must be finished with your probation period and obeyed all orders from the court. A hearing will then be held and if your petition is granted, the judge will order your brandishing conviction dismissed. The most common reason for seeking this remedy is the benefits it carries in the private employment sector. 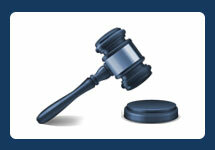 For more information about expunging your criminal record, contact the Law Offices of John D. Rogers. 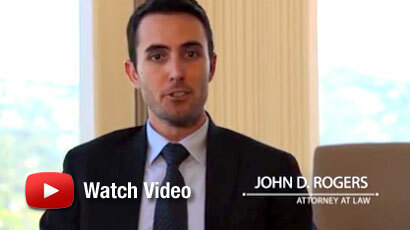 If you’ve been arrested or charged with brandishing under PC 417, contact Brandishing Defense Lawyer John Rogers at the Law Offices of John D. Rogers for a free confidential consultation concerning your rights and defenses.